Get Your Class 12/13 Alcohol Permit! The Washington State Liquor and Cannabis Board now allows alcohol servers to complete a Mandatory Alcohol Server Training course program online to obtain a Class 12/13 (depending on age) Permit. American Safety Council provides this online course to employees whose tasks will include the sale and/or serving of alcohol. For more than a decade, American Safety Council has provided online worker-safety courses nationwide and has created this 3-Hour Alcohol Seller/Server Course to fully comply with Washington State MAST requirements. We have made every effort to ensure that this Online MAST course is educational, effective and references the most current laws of the state of Washington. Once you register, you can begin the course right away. The registration, course and final exam are completely online. 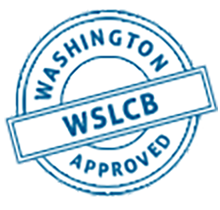 After you finish the course material and pass the exam, your completion will be reported to the Washington State Liquor and Cannabis Board (WSLCB). You will receive your permit by mail. We offer around-the-clock customer support. If you have any questions, feel free to contact us via live chat!